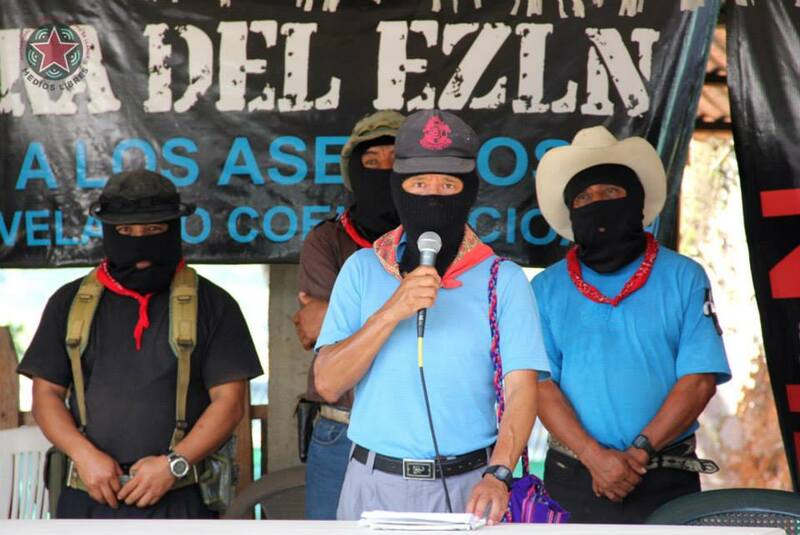 In the gathering of our peoples in the Exchange between Zapatista Peoples and the National Indigenous Congress “David Ruíz Garcia,” we shared with each other our pain as well as our words and experiences of struggle, rebellion, and resistance. Together we know that within our rebellions is our “NO” to the politics of destruction that capitalism carries out across the world. And we know that within our resistances are the seeds of the world that we want. 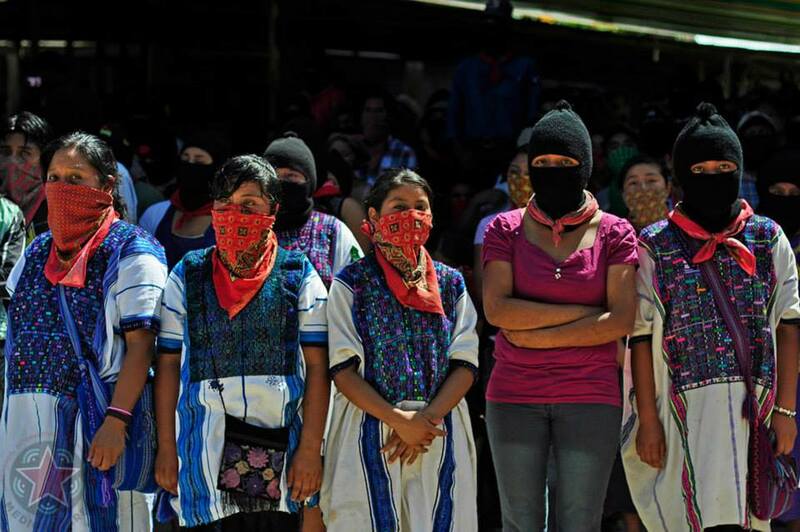 These rebellions and resistances are not just those of the indigenous peoples of Mexico. They are also found in the footsteps of the originary peoples across the continent and in all corners of the earth where individuals, groups, collectives, and organizations not only say “NO” to destruction, but go about constructing something new. In this exchange, which we know has been possible largely due to the support of brothers and sisters of the National and International Sixth, we confirm that our mother earth, giver of all life on the planet, is in danger, and thus all of humanity is also. We see that it is neoliberal capitalism that has caused all of this pain, destruction, and death, and which has dispossessed, exploited, disrespected, and repressed us. In defense of mother earth and in the struggle for humanity and against neoliberalism, no struggle is small. Brothers and sisters of the National and International Sixth, we know that this savage and deathly capitalism is not invincible. We have learned this from the Zapatista experience and from the rebellions and resistances that bloom all over the planet whose pain is our pain, whose struggles are our struggles, and who dreams are our dreams. So we want to share with you the words, experiences, paths, and collective decision that a world where many worlds fit is possible. As we are concretizing the steps toward this dream, it is necessary to share with each other what we are thinking, to listen to each other in order to understand our struggles and our rebellions and learn from our forms of resistance. *Inauguration in the community Ñatho de San Francisco Xochicuautla, Lerma, Mexico State, Sunday, December 21, 2014. *Exchanges in the communities of San Francisco Xochicuatla and Amizingo, Morelos, December 22 and 23, 2014. *Great Cultural Festival in the Federal District December 24, 25, and 26, 2014. *Continuation of the exchanges in the communities Binnizá de Juchitán, Oaxaca, and in the Yucatan Peninsula December 28 and 29, 2014. *Celebration of Anticapitalist Rebellion and Resistance in the Caracol of Oventic, December 31, 2014 and January 1, 2015. *Conclusions, closing event, pronunciations, and declarations in CIDECI, San Cristóbal de las Casas, Chiapas, January 2 and 3, 2015. Our exchange in this “First World Festival of Resistances and Rebellions Against Capitalism” will be between Zapatista Peoples, the peoples, tribes, nations, and barrios of the CNI, indigenous peoples from all over the continent, and the peoples, collectives, and individuals all over the world who are adherents of the National and International Sixth. In the next few days we will provide more details about this convocation. Our peoples of maize, in holding this exchange with all of you, will become like a field that flourishes, strengthening our resistances and caring for our mother earth on this new path that we want to share with you. From the Zapatista Realidad, August 2014. Toward the holistic reconstitution of our peoples. In addition to the individuals, groups, collectives, and organizations of the Sixth all over the world who join this convocation.